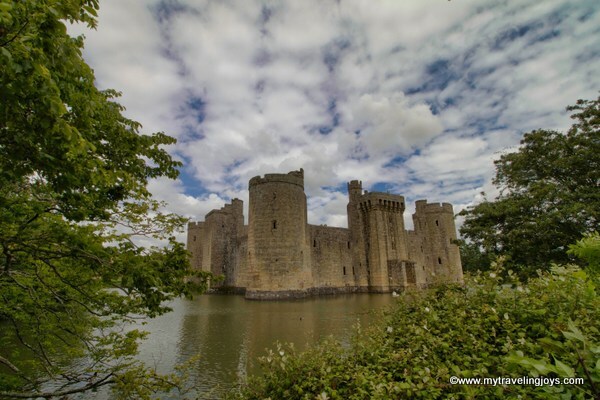 With so many European destinations on our doorstep, it’s easy to forget about exploring the actual country that we live in – the United Kingdom. 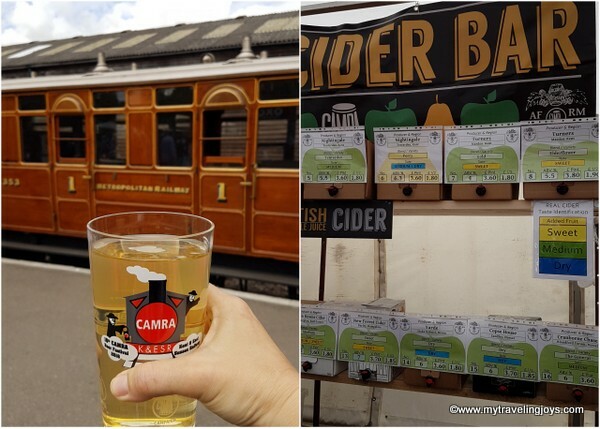 at The Kent & East Sussex Railway, co-hosted by Campaign for Real Ale (CAMRA), a group we signed up for that supports and promotes British breweries and pubs. Had it not been for the beer festival, we probably wouldn’t have chosen Tenterden as a destination since it no longer has a train station. We took a train from Waterloo to Headcorn, then transferred to a local country bus, which stopped close enough to our hotel for the night. We originally planned to take a taxi from the station but learned we would have to wait awhile since we didn’t pre-book and it would cost £22. Yikes! So we figured out the local bus, which runs every 30 minutes – give or take 10 minutes, and took a bus from Headcorn to the London Beach Country Hotel. Cost £3 for two people. 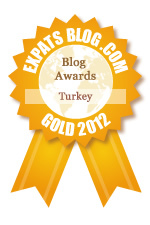 Okay, so we technically did this journey as an overnight trip, but it easily could be done as a day trip. 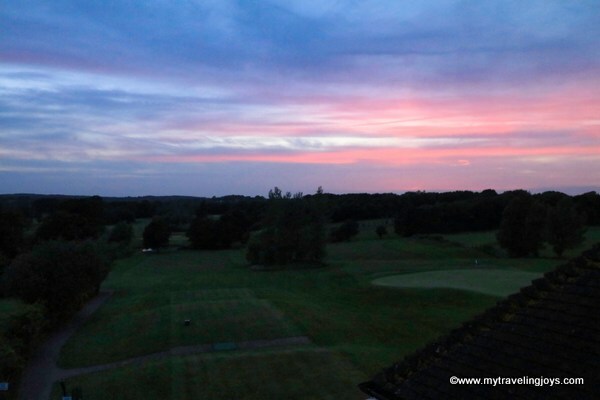 Our cozy hotel room featured a small balcony, so we brought up a drink from the bar and enjoyed a Kentish countryside sunset. 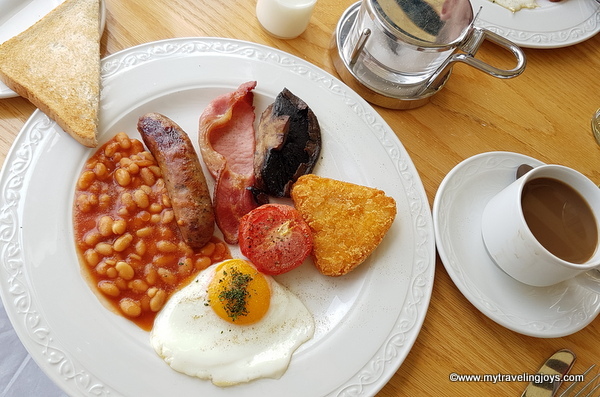 In the morning, we both had a full English breakfast before we set out for the day. 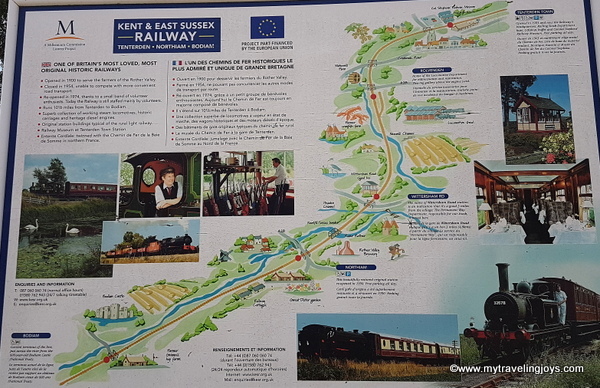 For the main event on Saturday, we walked about 1.5 miles from our hotel directly to the Kent & East Sussex Railway. Being CAMRA members, our festival admission was free. The event featured more than 50 British beers and 22 ciders. 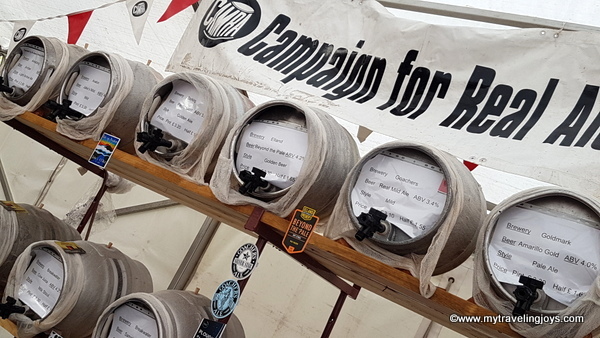 Some of the beers we enjoyed were from: Signature Brew (London), G2 Brewing (Ashford), Kent Brewery (Birling), York Brewery (York) and Kentish Pip Craft Cider (Canterbury). The queues were never that long and the atmosphere was quite jovial and relaxed. 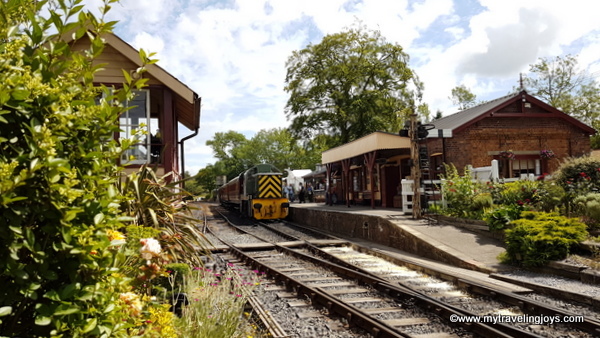 Although Tenterden no longer has an intra-country railway, it does have an old-fashioned steam railway line that travels from Tenterden to Bodiam, a 45-minute journey. 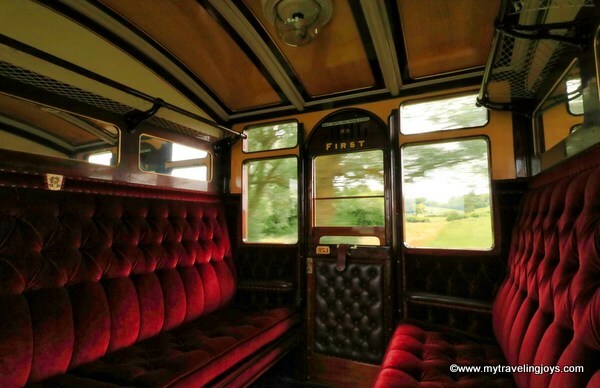 Channeling my inner Anthony Bourdain (who had sadly died recently) with a festival beer in hand, I boarded the wooden carriage with plush velvet-lined seats and soaked up the Kentish countryside scenery. 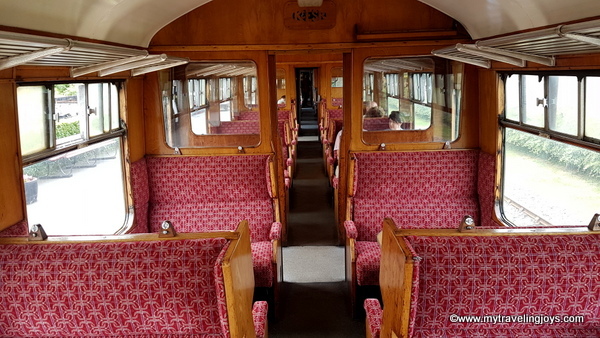 Hubby and I absolutely loved this train journey and would highly recommend it as a fun day out! 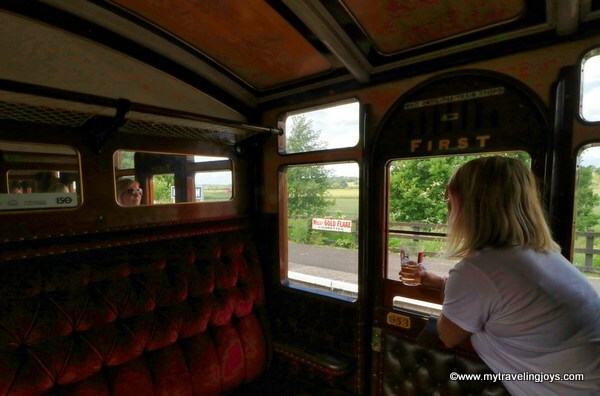 The KESR also runs train outings that feature local beers as well as dining options. Set in the heart of an historic landscape, the 14th-century, moated Bodiam Castle is considered “one of Britain's most picturesque and romantic ancient monuments.” Just a 5-minute walk from the Bodiam station, we decided to take a few photos of this National Trust property, so we wouldn’t miss out on the next train. Back at the beer festival, we experienced an unexpected highlight – traditional Morris dancing! Morris dance is a form of English folk dancing based on rhythmic stepping and choreographed routines. The dancers usually wear bells on their shins and use sticks and handkerchiefs as part of the dancing. The earliest known and surviving written mention of Morris dance, dates to 1448, and records the payment of seven shillings to Morris dancers by the Goldsmiths’ Company in London. 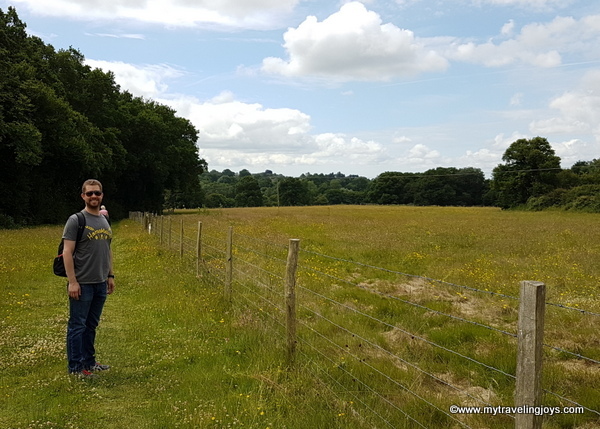 Getting out of the city for a day meant we got to explore a new part of the UK, try some tasty beers, ride an old steam train, see a historic castle and more. I can only wonder what will happen on our next adventure. My old stomping ground back in the days - memories came flooding back!